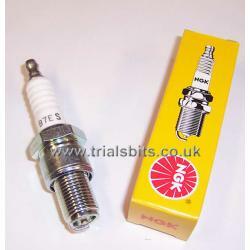 NGK Long Reach Spark Plug. Suitable for many applications including the C15 and B40. Available in three heat ratings, B6ES, B7ES, B8ES, please choose type from the dropdown.